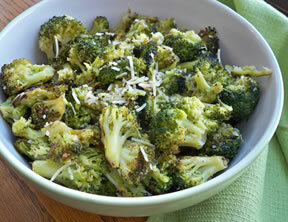 Just the right added touch to give broccoli an extra boost of flavor. 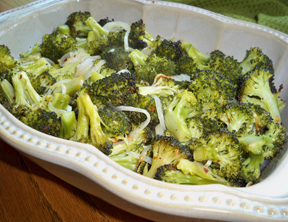 An easy way to make a plain broccoli side dish something a little special. Bring 1 inch of water to a boil in a saucepan. Once it starts boiling, add the broccoli, cover and cook on medium-low for approximately 7 or 8 minutes. Cook just until crisp tender. Drain water and place in a shallow dish; set aside. In a small saucepan, melt the butter; then add the soy sauce, brown sugar, white vinegar, garlic, and pepper. Bring the mixture to a boil and then remove from the heat. 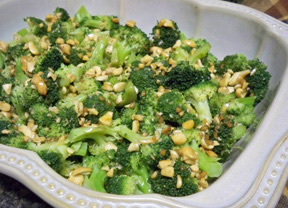 Pour the butter mixture over the broccoli and sprinkle with the cashews. "Oh this was soooo good!!!" 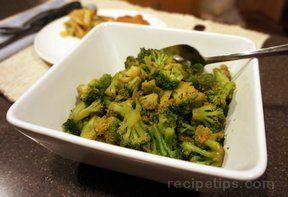 "A simple cooked broccoli recipe with great flavor. The cashews were a nice touch."